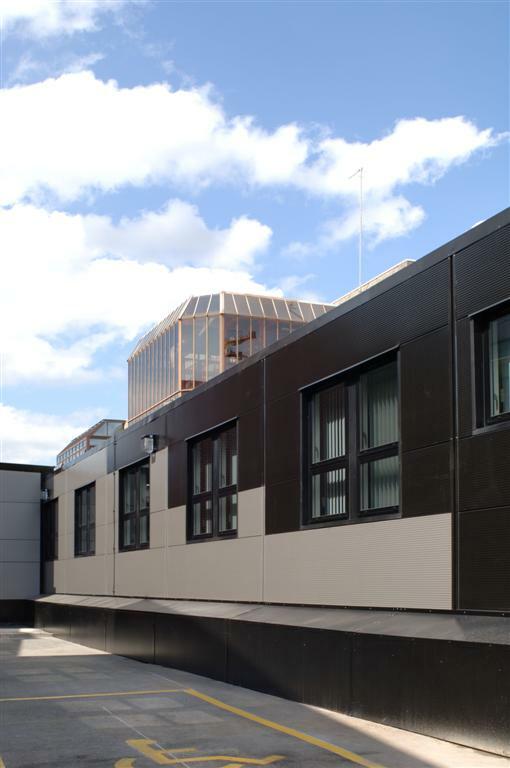 In conjunction with Manchester Royal Infirmary, Premier Modular Limited were tasked with the design, manufacture and installation of an innovative modular healthcare facility, with a predetermined footprint on a very tight site. The location of the ward is within an internal quadrangle with restricted access. The specialist design team at Premier designed a delivery and installation system with the modules being brought in on low-loaders so they could pass under overhead walkways. A 150 tonne crane was then used to lift the units into position. Meeting challenging specifications, the modular building was designed and manufactured to take account of the specialist requirements of patients who are all susceptible to infection with low immune systems. 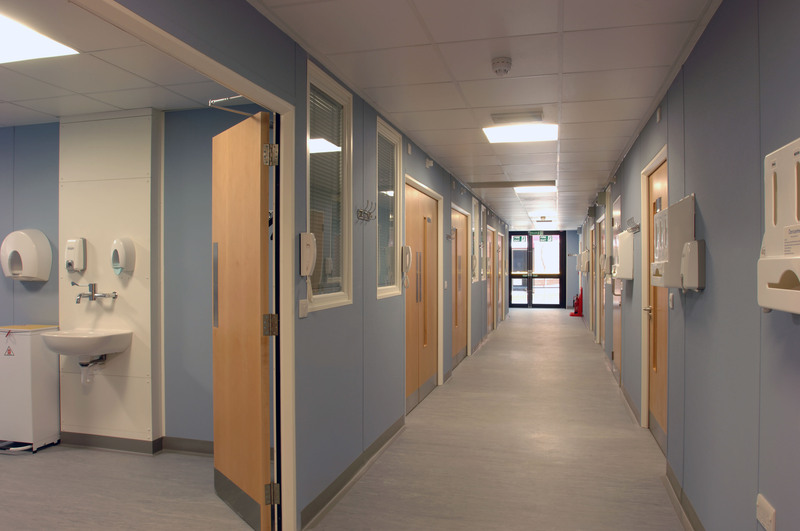 The healthcare accommodation block comprises two 5-bed segregated wards and ten individual isolation rooms. Five of the latter rooms are en-suite with positive air pressure systems that prevent the passing of airborne germs and viruses that might put the patient at risk.